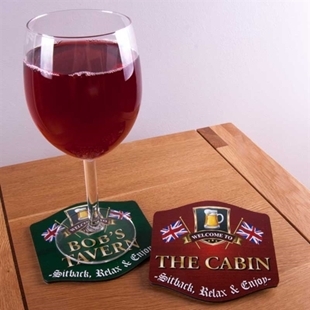 A personalised illuminated LED pub, perfect for a home bar. NEW personalised illuminated LED sign, any text you like. 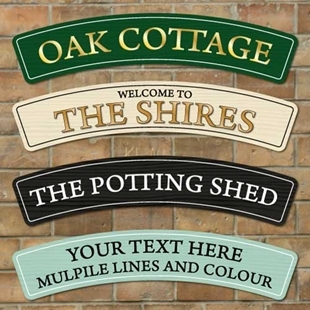 This sign is printed in the style of a shaped traditional wooden pub sign. The wording "Sitback, Relax & Enjoy" will remain on unless you state otherwise. The sign is made from 3mm gloss acrylic with a rear fitted LED sign tray fitted with ultra white leds and comes supplied with a 12V mains adapter. Hanging fixing is fitted to the rear. 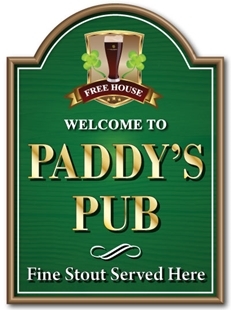 Personalised Pub Irish sign with shamrock and Guinness pint. choice of colours and sizes. An eyecatching arched wooden effect sign. 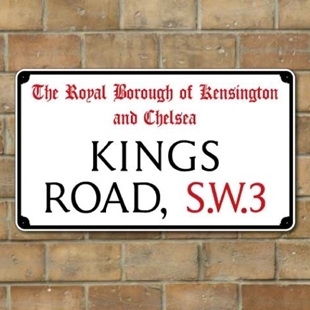 Old London Street Signs, any street, road or square! 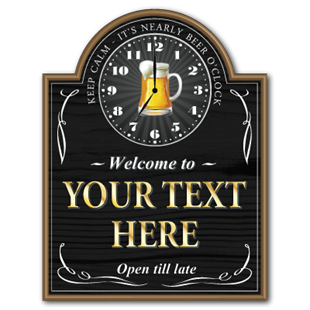 Personalised clock - Wooden Style Joke Home Bar Sign.